Carnival Corporation & plc today announced that it has signed a memo of agreement with Italian shipbuilder Fincantieri S.p.A. to build four new cruise ships with final contracts expected to be executed in 2016. Two of the four new ships will be built for Costa Asia for deployment in China, and one will be built each for P&O Cruises Australia and Princess Cruises. This order is in addition to nine ships Carnival ordered earlier in 2015. With the new agreement, Carnival Corporation has 17 new ships scheduled to be delivered between 2016 and 2020. The four new ships will be built by Fincantieri, at the company's shipyards in Monfalcone and Marghera, Italy, with deliveries expected in 2019 and 2020. The two new 135,500-ton ships for Costa Asia and one new ship for P&O Cruises Australia will carry 4,200 passengers. Additionally, Princess Cruises' new 143,700-ton ship will carry 3,560 passengers and will be its fourth "Royal Princess" class vessel, featuring the design platform used on Royal Princess, Regal Princess and Majestic Princess scheduled for delivery in 2017. Each of the four new ships will be specifically designed and developed for the brand and guests it will serve, and support the company's overall goal of providing exceptional vacation experiences for its guests. "We will deliver on our fleet enhancement plan with the construction of these four new, exciting ships that are consistent with our long-term strategy of measured capacity growth over time," said Arnold Donald, CEO of Carnival Corporation. "These ships will be great additions to our fleet that support our goal to exceed guest expectations and create great vacation memories for each guest onboard our ships. These strategic investments in new ships that wow our guests are an important part of our measured growth strategy, which includes replacing less efficient ships with newer, larger and more efficient vessels over a very specific period of time." "The signing of this agreement happens during a real and beyond all expectations boom of the cruise sector," said Giuseppe Bono, CEO of Fincantieri. 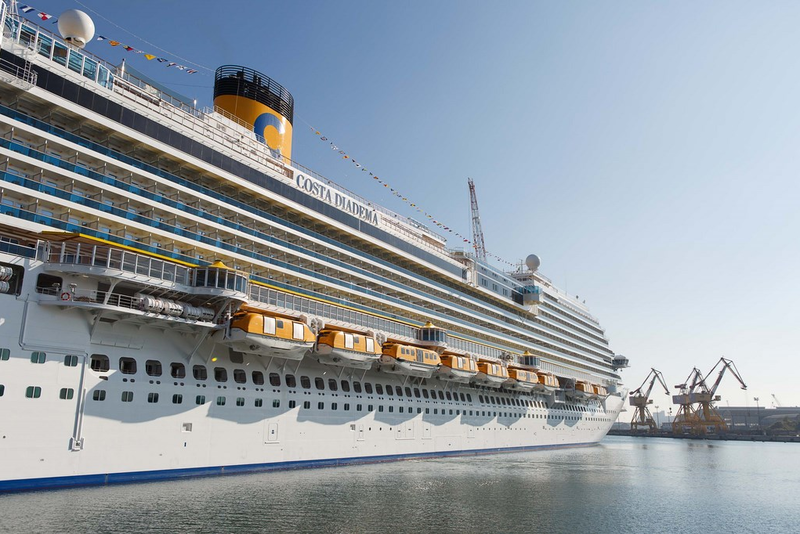 "This announcement confirms - once again - the effectiveness of our strategy: with these projects we ensure continuity and development for our company, and we also further strengthen our already consolidated partnership with the Carnival group." Both Costa ships will be built for the Chinese market. The new P&O Cruises Australia ship will join the leading cruise line's fleet that was recently expanded with the addition of Pacific Aria and Pacific Eden in November 2015 and will reach six total with the introduction of Pacific Explorer in 2017. The new 4,200-passenger ship will have the largest passenger capacity from the line, with the next largest ship, Pacific Explorer, carrying 2,250 passengers, and will continue the brand's tradition of innovative ships that reflect modern Australia.